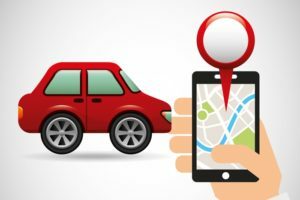 The Government’s attachment of the GPS tracking device to the vehicle, and its use of that device to monitor the vehicle’s movements, constitutes a search under the Fourth Amendment. Pp. 3–12. (a) The Fourth Amendment protects the “right of the people to be secure in their persons, houses, papers, and effects, against unreasonable searches and seizures.” Here, the Government’s physical intrusion on an “effect” for the purpose of obtaining information constitutes a “search.” This type of encroachment on an area enumerated in the Amendment would have been considered a search within the meaning of the Amendment at the time it was adopted. Pp. 3–4. (b) This conclusion is consistent with this Court’s Fourth Amendment jurisprudence, which until the latter half of the 20th century was tied to common-law trespass. Later cases, which have deviated from that exclusively property-based approach, have applied the analysis of Justice Harlan’s concurrence in Katz v. United States, 389 U. S. 347, which said that the Fourth Amendment protects a person’s “reasonable expectation of privacy,” id., at 360. Here, the Court need not address the Government’s contention that Jones had no “reasonable expectation of privacy,” because Jones’s Fourth Amendment rights do not rise or fall with the Katz formulation. At bottom, the Court must “assur[e] preservation of that degree of privacy against government that existed when the Fourth Amendment was adopted.” Kyllo v. United States, 533 U. S. 27, 34. Katz did not repudiate the understanding that the Fourth Amendment embodies a particular concern for government trespass upon the areas it enumerates. The Katz reasonable-expectation-of-privacy test has been added to, but not substituted for, the common-law trespassory test. See Alderman v. United States, 394 U. S. 165, 176; Soldal v. Cook County, 506 U. S. 56, 64. United States v. Knotts, 460 U. S. 276, and United States v. Karo, 468 U. S. 705—post-Katz cases rejecting Fourth Amendment challenges to “beepers,” electronic tracking devices representing another form of electronic monitoring—do not foreclose the conclusion that a search occurred here. New York v. Class, 475 U. S. 106, and Oliver v. United States, 466 U. S. 170, also do not support the Government’s position. Pp. 4–12. (c) The Government’s alternative argument—that if the attachment and use of the device was a search, it was a reasonable one—is forfeited because it was not raised below. P. 12. 615 F. 3d 544, affirmed. Amid a disagreement about what a privacy invasion meant in 1791, but with a strong embrace of privacy in the electronic age, the Supreme Court on Monday suggested that police probably should get a warrant before they physically attach an electronic monitor — like a GPS tracking device — to a car or truck, while leaving some doubt about how long such a device may be used, and about what kinds of suspected crimes allow its use. In effect, the Court seemed to have launched years of new lawsuits to sort it all out. The choice Monday was between a minimalist approach, one in the middle, and an expansive view of Fourth Amendment privacy. Each had support among the Justices, but counting the votes was a bit tricky. Justice Scalia delivered the opinion of the court. He was joined by Chief Justice Roberts and Justices Kennedy, Thomas, and Sotomayer. Justice Sotomayor, however, penned her own concurring opinion, as did Justice Alito (joined by Justices Ginsburg, Breyer, and Kagan). To be honest, I haven’t had the time yet to fully digest the opinion, so I’ll save any more comments for another time. However, I will say that I am initially disappointed by the name of the case. Fourth Amendment cases are supposed to have cool and interesting names (e.g. Katz, Ciraolo, Kyllo), not Jones. C’Mon. When you cite U.S. v. Jones, people are going to thing you’re making the case up. Oh well. At a very minimum, this case should give all the hardworking criminal defense lawyers ample ammunition for motions to suppress.